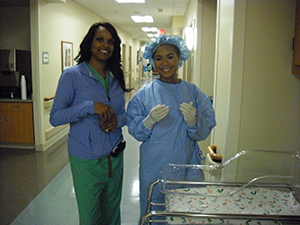 Baylor University offers many Pre-Health Programs within Robbins College of Health and Human Sciences. The purpose of these programs are to serve as pre-professional preparation for entrance into medical, dental, physical therapy, athletic training or other allied health professional graduate programs (e.g., occupational therapy, pharmacy, physician assistant, etc). The program helps students identify and meet entrance criteria to allied health degree programs while emphasizing health, fitness, and wellness. Students interested in Veterinary Medicine, will follow the pre-medical/pre-dental option. This option allows students to complete necessary prerequisite coursework required by veterinary schools. Curriculum integrates coursework in human sciences, applied anatomy and physiology, public health, and an academic clinical internship. Veterinary schools share common pre-requisites but often have specific or unique criteria. Students are encouraged to visit the specific program websites for detailed admission requirements. 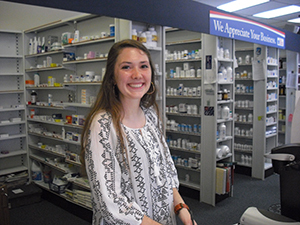 Students interested in pharmacy, will follow the pre-medical/pre-dental option. This option allows students to complete necessary prerequisite coursework required by pharmacy schools. Curriculum integrates coursework in human sciences, applied anatomy and physiology, public health, and an academic clinical internship. Pharmacy schools share common pre-requisites but often have specific or unique criteria. Students are encouraged to visit the specific program websites for detailed admission requirements. The Health Science Studies Pre-Physician Assistant Option allows students to complete necessary prerequisite coursework required by Physician Assistant schools. Curriculum integrates coursework in human sciences, applied anatomy and physiology, public health, and an academic clinical internship. Physician Assistant schools share common pre-requisites but often have specific or unique criteria. Students are encouraged to visit the specific program websites for detailed admission requirements. 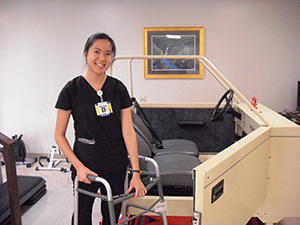 Students interested in Occupational Therapy, will follow the pre-physical therapy option. This option allows students to complete necessary prerequisite coursework required by Occupational Therapy schools. Curriculum integrates coursework in human sciences, applied anatomy and physiology, nutrition, and an academic clinical internship. Occupational Therapy schools share common pre-requisites but often have specific or unique criteria. Students are encouraged to visit the specific program websites for detailed admission requirements. Students interested in Optometry will follow the pre-medical/pre-dental option. This option allows students to complete necessary prerequisite coursework required by optometry schools. Curriculum integrates coursework in human sciences, applied anatomy and physiology, public health, and an academic clinical internship. Optometry schools share common pre-requisites but often have specific or unique criteria. Students are encouraged to visit the specific program websites for detailed admission requirements. Students interested in Chiropractic Medicine will follow the pre-medical/pre-dental option. 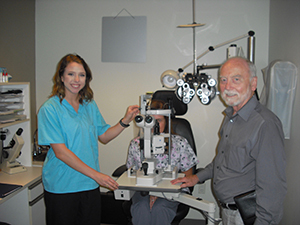 This option allows students to complete necessary prerequisite coursework required by optometry schools. Curriculum integrates coursework in human sciences, applied anatomy and physiology, public health, and an academic clinical internship. Optometry schools share common pre-requisites but often have specific or unique criteria. Students are encouraged to visit the specific program websites for detailed admission requirements. Students interested in Podiatric Medicine will follow the pre-medical/pre-dental option. This option allows students to complete necessary prerequisite coursework required by podiatry schools. Curriculum integrates coursework in human sciences, applied anatomy and physiology, public health, and an academic clinical internship. Podiatry schools share common pre-requisites but often have specific or unique criteria. Students are encouraged to visit the specific program websites for detailed admission requirements.